Video of several people doing pushups. You want to work out regularly, but sticking to a routine is hard. SweatBet motivates you to make time for fitness so that you feel fitter and stronger each day. Find a game you like, then bet into the pot to join. Complete the workouts laid out in your game’s schedule. Do all the workouts for your game and split the pot! Get back your bet plus a profit. Get in the best shape of your life with expertly-designed workout plans that give you no excuse to quit. You’ll break a sweat and get that euphoric post-workout exhaustion…and then wake up the next day motivated to do it again (from the comfort of your home, no equipment needed). 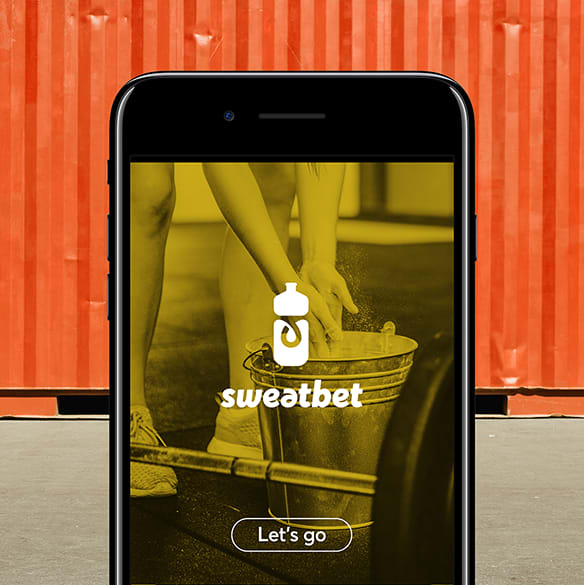 SweatBet motivates you to stick to a workout plan.